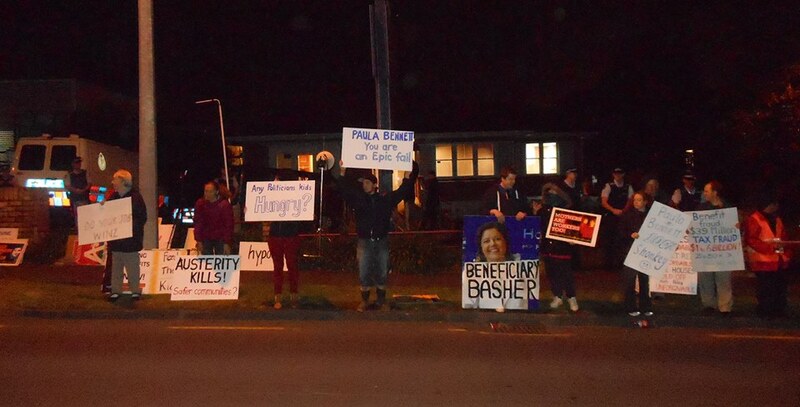 On Thursday the Minister of Social Welfare, Paula Bennett, held another public meeting at her electorate office in Henderson. 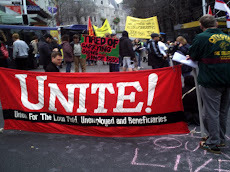 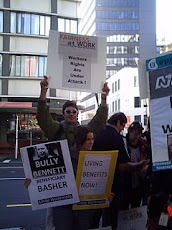 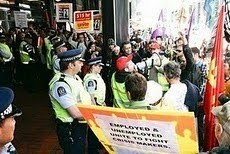 Anticipating the rage felt by beneficiaries hit by her 'reforms' which have seen most classes of welfare benefit replaced by a single 'job-seeker allowance' she felt it necessary to seek protection with a large contingent of police, who indeed outnumbered the protesters summoned by Waitemata Unite branch. 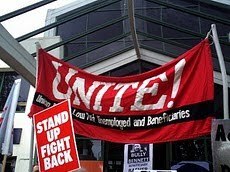 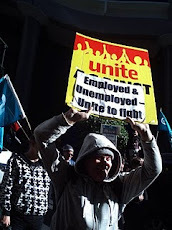 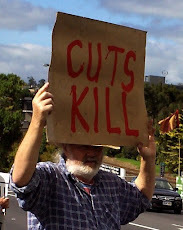 Branch members leafletted fairly intensively at West Auckland WINZ offices to advertise the protest, and all but a few who took the leaflet expressed pleasure at receiving it.